We live in a world driven by technology where organizations serve global customers with discerning tastes. “Customer is king,” the famous saying has continued to prove correct since the dawn of the industrial world and is the ethos by which global organizations strive. Customer service performance depends substantially on agent performance which is turn dependent on employee motivation. Managers in organizations are in constant need of valuable insights that can help them understand the gaps in customer service performance, and then develop strategies to close this gap. At Sayint conversation analytics, we deeply understand these issues and deliver smart solutions to drive the best customer service. 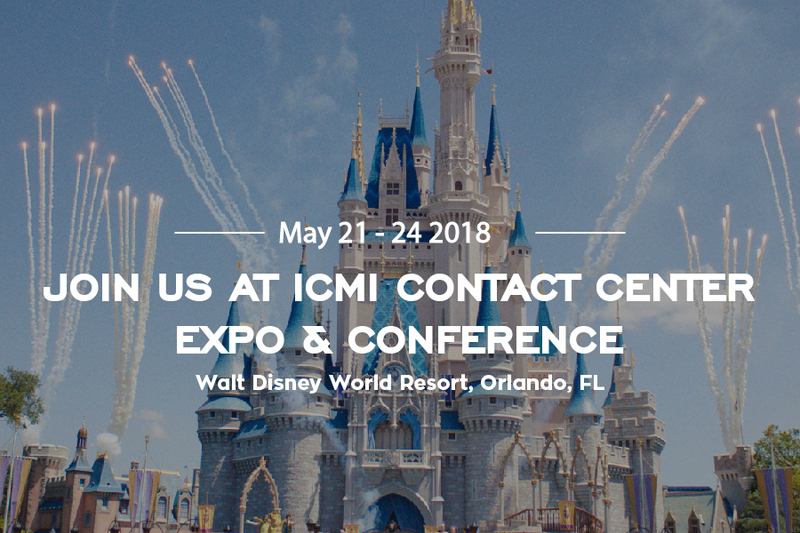 Sayint is excited to exhibit alongside the best players in the industry to showcase our AI driven solution at the ICMI Contact Center Expo & Conference scheduled on May 21-24, 2018 at the Walt Disney World® Resort in Orlando, Florida. ICMI is a trusted advisor in the call center industry, and most call center professionals like you rely on ICMI Expo to gain comprehensive and intuitive industry overview. Get ready for power packed content delivered by experienced speakers in a solution-oriented expo hall. Not yet registered? Use this link for registration: https://www.icmi.com/Contact-Center-Expo-Conference. We are at Booth Number 338 at ICMI Expo. We look forward to seeing you and sharing our vision on 100% compliance and driving efficiency using Artificial Intelligence. Sayint conversation analytics is a modern artificial intelligence driven tool that helps organizations analyse and audit customer conversations automatically, and hence provides meaningful insights about company operations and departmental integration. Sayint helps call center managers identify missed product upselling opportunities, reducing post sales woes, customer DSAT and compliance related issues. At Sayint analytics engine and NLP technology, the idea is to reduce the human effort involved in communication analysis and empower contact center managers in enhancing their efficiency. Sayint helps call center managers discover meaningful insights about strategy, products, processes, operational issues and agent performance. Sayint analytics helps managers identify areas in which contact center agents may need training for a better customer service output. Sayint is adept at analysing both real-time as well as historical communications including voice, chat, email and social feeds which helps you gain meaningful insights on agent performance, customer satisfaction and operational efficiency at your contact center.